Leading companies worldwide are partnering with Cross Border Partners Advisory Services, LLC. Together, we’re developing innovative export solutions that assist organizations in navigating the complexities of international trade, opening new markets, and creating new revenue opportunities for our clients. Extend Market Reach: Capitalize on the Cross Border Partners Advisory Services, LLC (CBPAS) brand, which is recognized as an innovative service concept supporting international trade and foreign direct investment. Grow Your Business: Market your complimentary international trade services and expertise as part of CBPAS’ extended solution set. Collaboration: Team with the best to add value for clients and drive growth and profitability with CBPAS. Strengthen your relationship with CBPAS and its sales organization: Position your company to take advantage of more sales opportunities than ever before. Cross Border Partners Advisory Services, LLC is pleased to feature some of our collaborative value-added service providers that assist our clients to expand internationally. 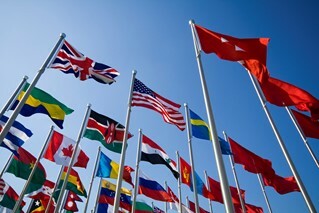 We are pleased to feature other trade services, information about exports and imports that are provided by a variety of independent private and public sector organizations who share our passion for promoting: global trade initiatives, regional economic development activities, foreign direct investments and growing export market potential. We are a proud member of the Small Business Resource Network. (SBRN) The SBRN helps businesses succeed by connecting them with interested, experienced professionals, service providers and government agencies. SBRN members have been recognized for providing business services within their specific fields of expertise. The Export-Import Bank of the United States (Ex-Im Bank) is the official export credit agency of the United States. Ex-Im Bank’s mission is to assist in financing the export of U.S. goods and services to international markets. Ex-Im Bank provides working capital guarantees (pre-export financing); export credit insurance; and loan guarantees and direct loans (buyer financing). No transaction is too large or too small. On average, more than 85% of Ex-Im Bank’s transactions directly benefit U.S. small businesses. The U.S. Commercial Service is the trade promotion arm of the U.S. Department of Commerce’s International Trade Administration. Whether you’re looking to make your first export sale or expand to additional international markets, the U.S. Commercial Service offers the trade counseling, market intelligence, business matchmaking, and commercial diplomacy you need to connect with lucrative business opportunities. Cross Border Partners Program provides for collaborative business development opportunities on a global scale. We are proud to be affiliated with Cross Border Partners Advisory Services, LLC and provide best in class marketing and web development solutions.